Local runner Ben Martinez is seen during a run in this undated photo. Ben Martinez has been running as far back as he can remember. The hobby began as most hobbies do — as a stress reliever and an avenue to help just “get away,” he said. Over the past six or seven years, the 48-year-old said that he’s been consistently running longer distances and discovering calming scenery in the process. “I’ve discovered Bentsen State Park and it gives me a restful and peaceful vibe,” the McAllen resident said. With its sprawling walking and hiking trails shaded by a canopy of native Rio Grande Ash and Texas ebony trees, it’s easy to see why Bentsen State Park remains a prime spot for local runners. 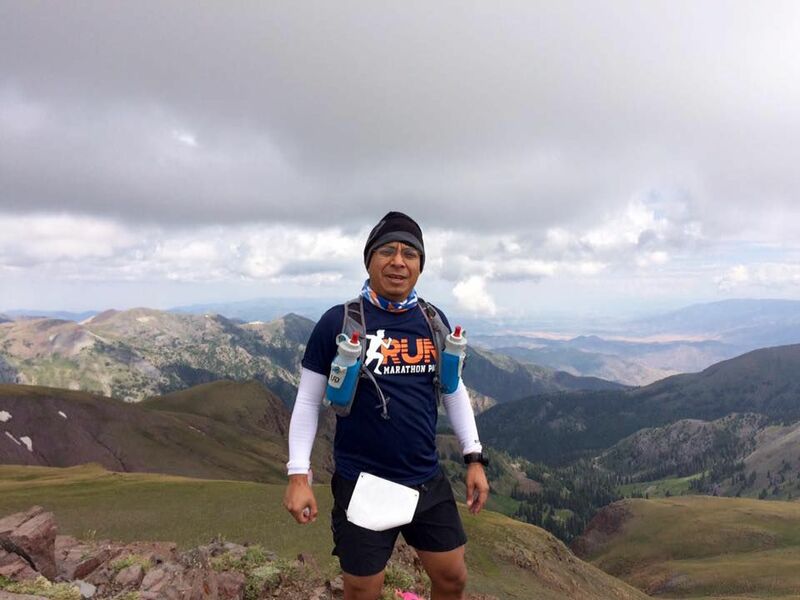 Outside of trail running, Martinez said he’s more than ready to participate in local events such as the McAllen Marathon because they allow more time with friends in the running community. A: It’d have to be when I ran an Ultra in Bryce Canyon, Utah two years ago. I was running for 35-plus hours in cold, heat, hail and rain. The sights were amazing. It was almost a spiritual re-awakening. A: A former coach of mine and race director of Ultras once told me “the longest distance in a race is the distance between your ears.” So true. Q: Are you on a special training schedule? A: I try to follow a “specific” plan, but that doesn’t always work for me. There are other things I enjoy doing such as going to the movies or reading or just simply relaxing. For this reason, the plan that works for me tells me when I’ve got to train but if I’m not “feeling it,” it’s ok to improvise. In other words, each person must find their balance. What works for you may not work for me and vice versa. Plus, most importantly, it’s about having fun and enjoying the adventure. A: Don’t get discouraged. You’re going to have good runs and bad runs. Often. If you can muster the mental and physical barriers and get your run done on a bad day, imagine what you could do on a good day when everything is clicking. Q: How do you think the McAllen Kids Marathon could attract more children and what do you think its benefits are for the community? A: Let’s make this a huge fun event for the kids (and the adult kids too). We need people out there cheering and making a big deal out of this. If people show up in droves to protest something, why can’t they show up in as big numbers to support the city, the kids and the marathon? The benefits are that kids can pick up a good habit. Put those electronics down and go outside and run.